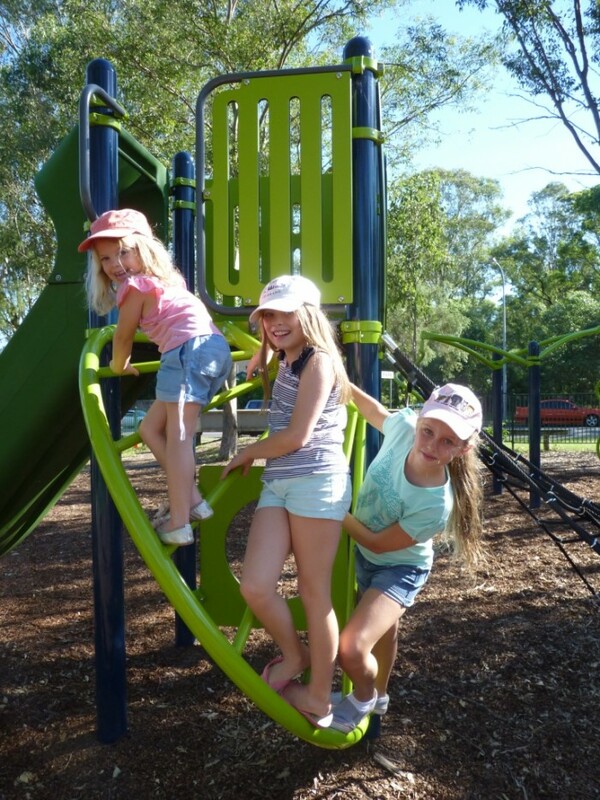 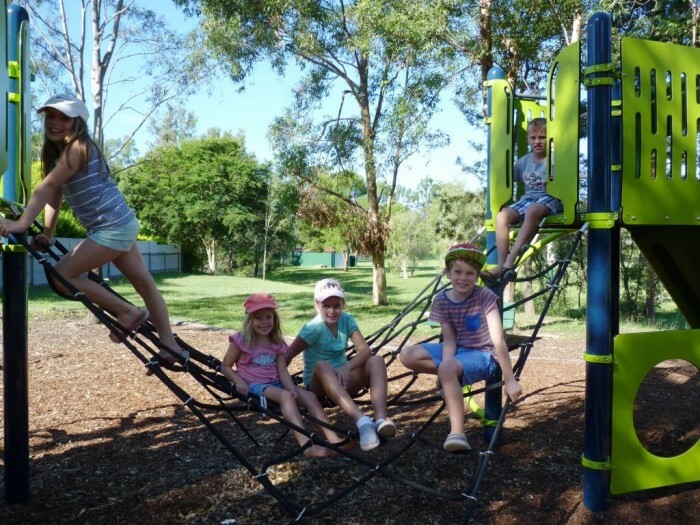 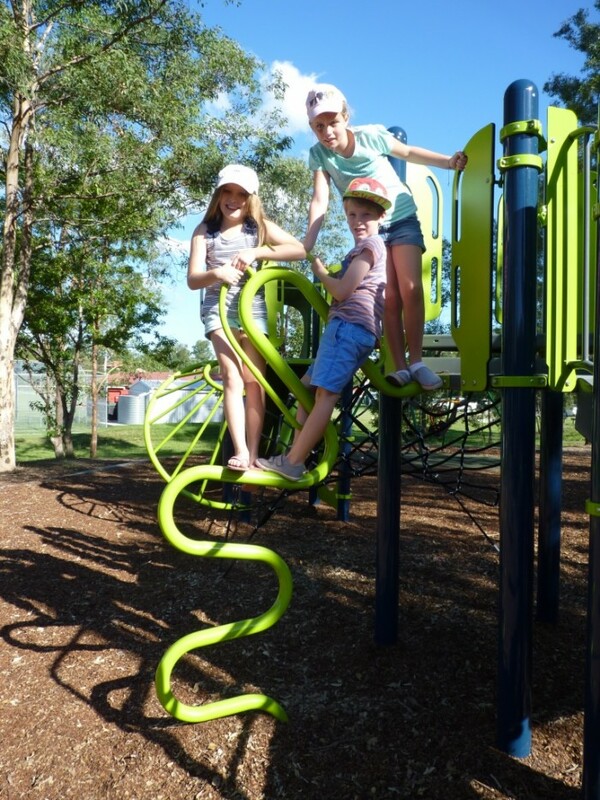 Peter Lightfoot Oval is a popular community sports field and the playground is not only well utilised by the neighbouring community, but by visitors and siblings coming to watch games of soccer, AFL, netball and cricket at the adjacent fields. 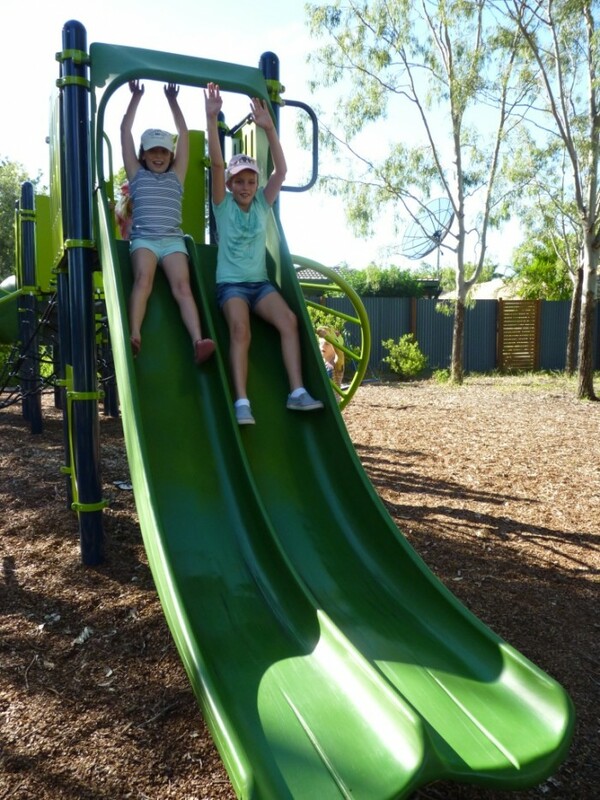 To cater for all ages, we installed a combined system suitable for junior players at the one end and older children at the other. 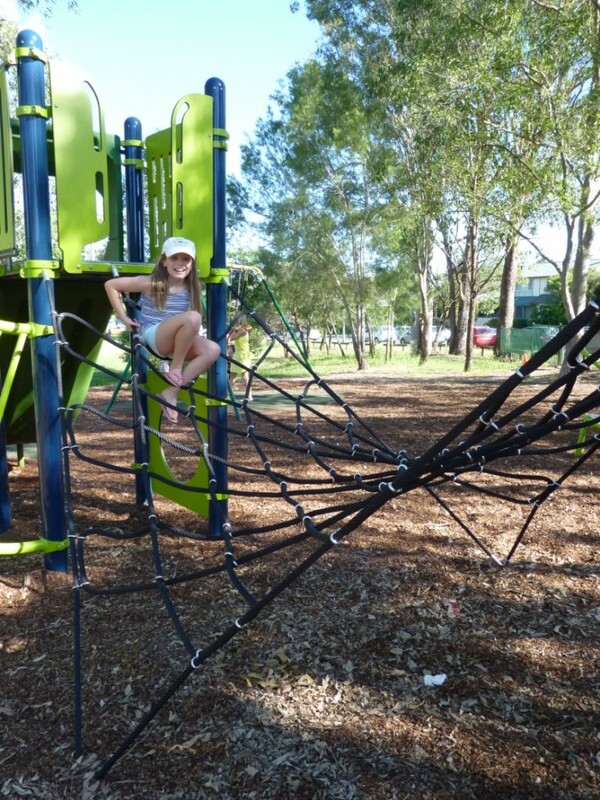 Connected by the Manta Ray net climber, access to the senior section is by the Manta Ray or sunbeam climber, providing a natural filter for younger users. 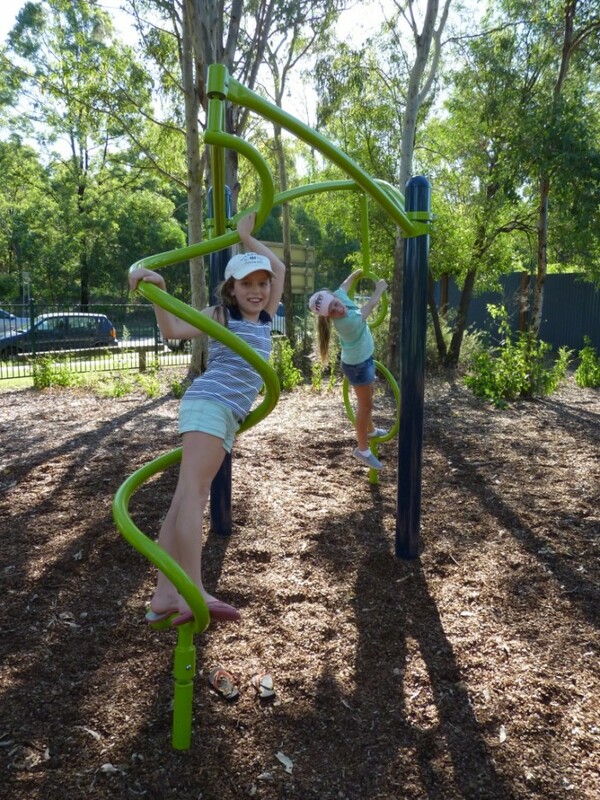 The junior section can be entered via the challenging logo or croquet climbers or via the stairs. 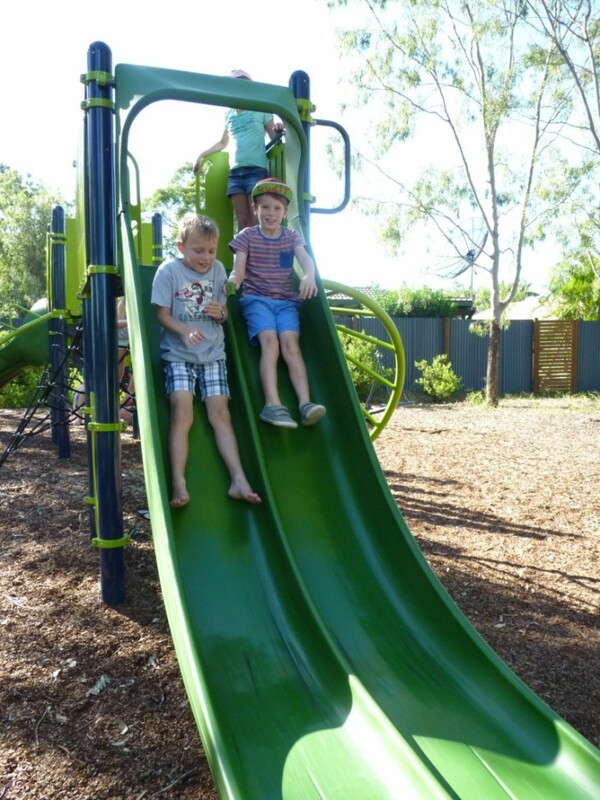 Both play zones have sliding exists with the super fast double swoosh slide offering multi user fun racing speed at the senior end, and a slidewinder at the junior end. 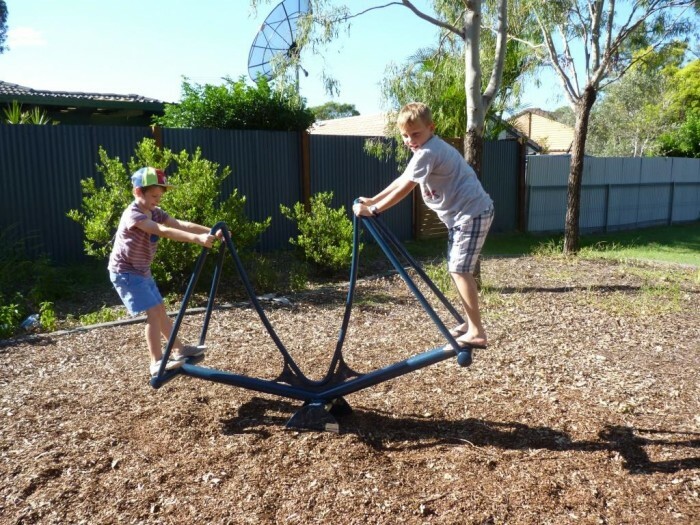 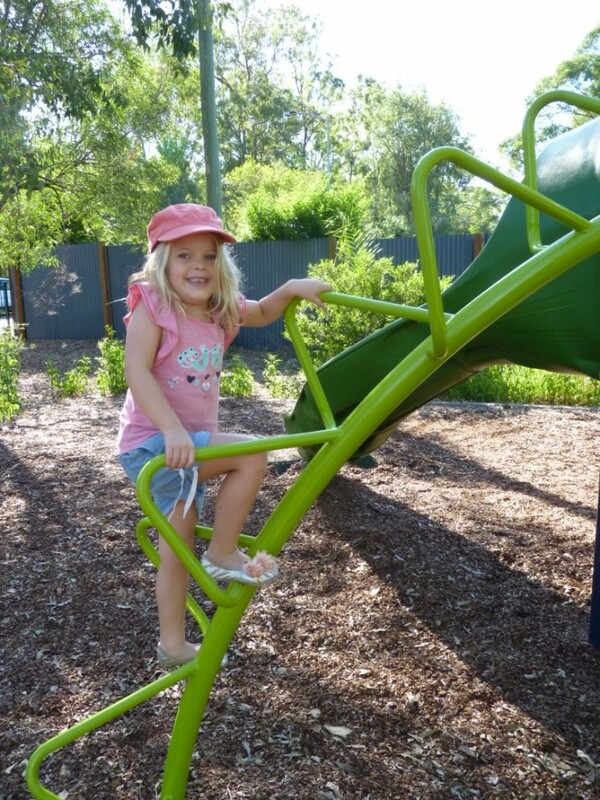 To finish off the playspace, spinning elements were included in the Gyro / Blender combination and a Stand Up SeeSaw – providing vestibular and proprioceptive stimulation. 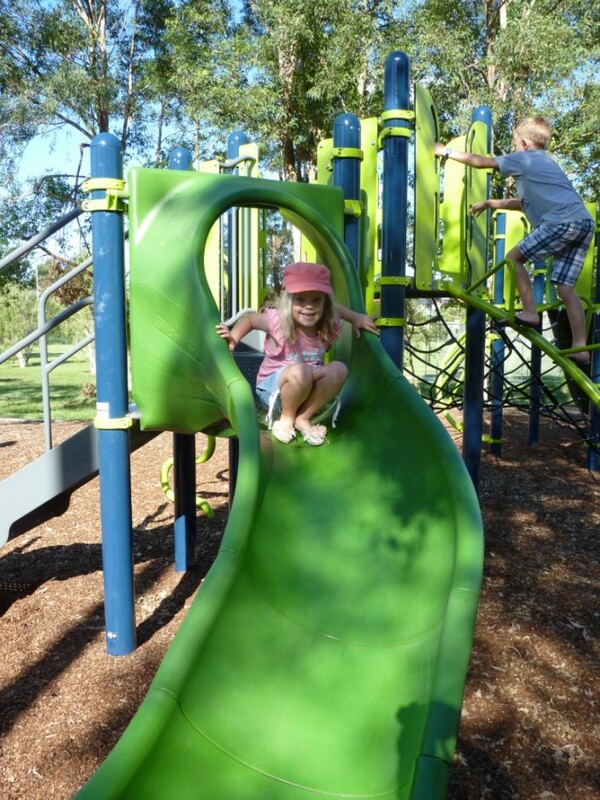 Set in natural shade, this is a fantastic complete neighbourhood park combo with something for everyone who visits.